WAKE UP TO CALM IN THE MOST LAVISH WAY! 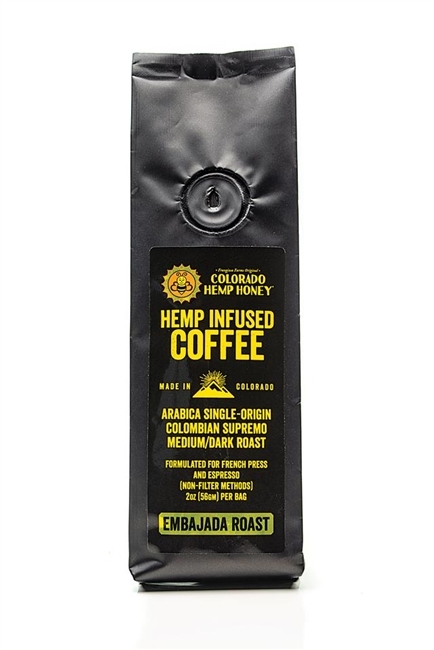 Introducing our NEW medium/dark roast hemp infused coffee made locally in Colorado! Our new Embajada roast is infused with full spectrum hemp extract and created for non-filter brewing methods. Experience the delicious flavor of coffee each morning and incorporate the benefits of hemp into your active lifestyle before your busy day begins. 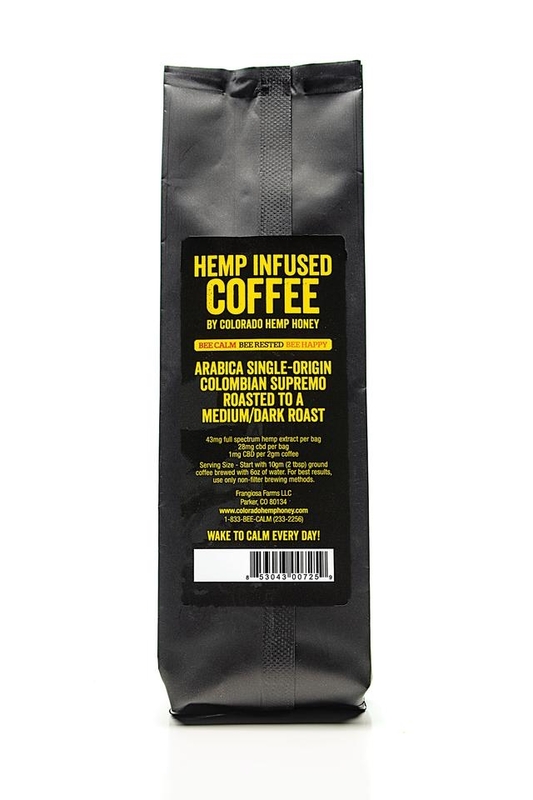 Our new hemp infused coffee allows you to experience a unique aroma and taste. It’s so more than just hemp! Specially formulated for non-filter methods such as french press and espresso. We infuse the hemp extract into the naturally occurring oils of the coffee beans during the roasting process. The hemp extract contains naturally occurring cannabinoids, terpenes, and phytonutrients from hemp. Our hemp is extracted with a unique, reusable process that best preserves the cannabinoids and terpenes and also maintains superior quality. Each 2 oz bag contains 43 mg of full spectrum hemp extract. For each serving, start with 10 gm (2 tbsp) ground coffee brewed with 6 oz of water. For best results, use only non-filter brewing methods.